Eclectic Paperie: Winner of the Get Altered (Altered Books) Challenge!! Winner of the Get Altered (Altered Books) Challenge!! Altered books! Wow...the entries for our last Get Altered challenge were stunning! I'm amazed by the work that went in to each of the books that were submitted and can hardly believe the designs that each of you made...with a book! What a fantastic challenge and so much fun to see everyone's artwork...seriously, thank you so much for sharing! I was really impressed by all of the details that went into Laura's book...from the many fancy embellishments to the oodles of folded pages. This would definitely be a conversation piece if placed on one's table! It's a beautiful piece of artwork and I'm happy to share it here on the eP blog! Laura, please contact me at kim@eclecticpaperie.com to claim your $15.00 gift certificate to eclectic Paperie! A huge thanks to everyone that submitted!! Please continue to share your work, it really is a delight to see the projects. And you might be the next gift certificate winner! 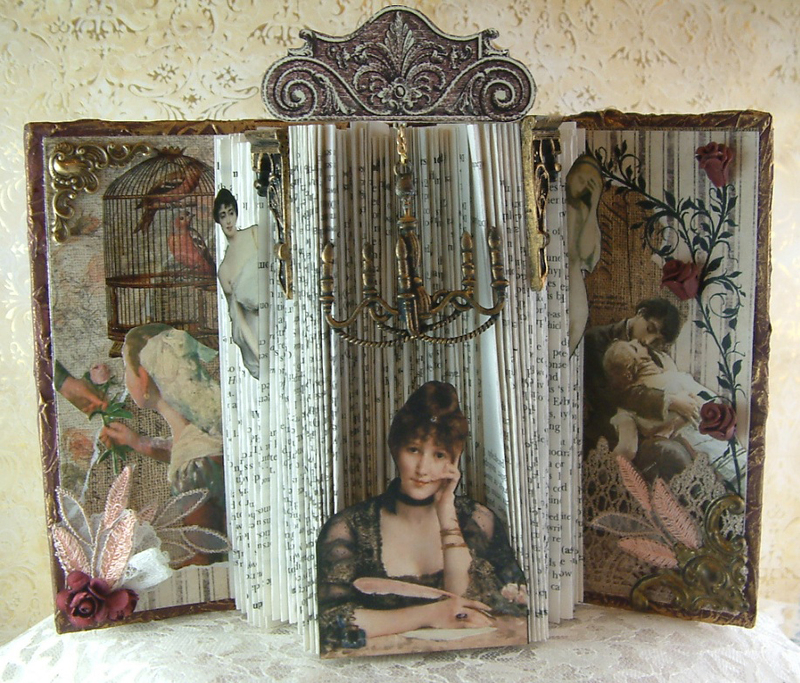 Congratulations to Laura, her altered book is stunning. What a wonderful work of art! Congrats, Laura! I loved this ...congratulations Laura! Congrats Laura! I was also very impressed! Love it! Whoo hoo! Congratulations! Beautiful project!! !